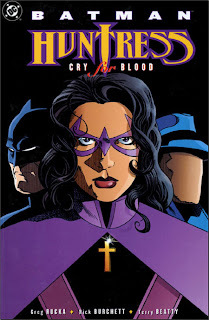 When Greg Rucka was still a new writer at DC Comics, I read the collection of his post-Batman: No Man's Land miniseries Huntress: Cry for Blood mainly because I was a fan of anti-hero Helena Bertinelli. Looking back on this miniseries now that Rucka's tenure at DC has ended, it's astounding to see how this book sets out the pieces that would make up much of Rucka's later DC work. Most specifically, this is a Question/Huntress team-up, where later Rucka would write the Question Vic Sage's death in 52, introduce the new Question Renee Montoya, and then team Huntress and Renee in Final Crisis: Revelations and The Question: Pipeline. Silly me, that when I read 52, I thought that was Rucka's first adventure with Vic Sage, but now I'm reminded of this earlier story (and one in the criminally-uncollected Batman Chronicles #15). I have long thought that Rucka is DC's Batman heir apparent to Dennis O'Neil, and this is only confirmed by the sheer amount of detail Rucka referenced from O'Neil's earlier Question run in Rucka's 52, Question: Five Books of Blood, the Question Blackest Night special, and so on. Also, I specifically did not remember that not only does Vic Sage appear in Cry for Blood, but also that the book strongly suggests (while also remaining nicely coy and vague) that Helena and Vic sleep together. I will now have to go check my copy of Final Crisis: Revelations to see if Rucka has Huntress regret Vic's passing as more than just a friend (and if not, I hope he references their relationship in Question: Pipeline). I had thought that the Justice League Unlimited cartoon's Huntress/Question relationship was an original creation, but now we see that indeed it had its origins in Rucka's work. Despite all of this, I would not actually call Huntress: Cry for Blood Rucka's strongest work; rather it seems an early template for the kind of story that Rucka would re-tell and improve upon both with Renee Montoya in 52 and to some extent with Kate Kane in Batwoman. That is, Huntress begins the story vengeance-filled and angry, and through the training of Question and sensei Richard Dragon finds inner peace (though she keeps in the end her violent streak); this is almost exactly the same as Question training the similarly-vengeful Renee Montoya. There are aspects to the book that are too easy. With only six issues for Cry for Blood rather than in fifty-two in 52, Rucka achieves much of Helena's character transformation in just one chapter and about six pages with Helena and Richard Dragon. There's a two-page tai chi spread where Helena seems to recognize her suicidal tendencies just because Dragon says so; this should be momentous, but perhaps artist Rich Burchett doesn't give enough expression to Helena's face, so it's tough to tell if she's moved by Dragon or just bored. I like Burchett's art a lot, especially his work in Detective Comics, but there are a number of sequences where he has Helena walking down the street in a sports bra while everyone else is clothed, that seemed to me might have benefited from a second thought. I also couldn't quite conscience Rucka's final revelation in this book that Helena Bertinelli is not actually a Bertinelli at all. Thankfully this seems to have been largely ignored by other writers since, but for that reason or despite it, it seems silly to me that Rucka might have tried to change Huntress's very secret identity in this miniseries. (Those fans who knew Huntress originally as Helena Wayne and not Helena Bertinelli are considering they should have such problems at about this point.) By and large I didn't feel Rucka did enough to differentiate the various mob families here, as opposed to Jeph Loeb's work on the Gotham crime families in Long Halloween, and though I know Rucka does a lot of research for his books, the Italian mobsters seemed to me rather sterotypical as written on the page. What I did like here is Rucka's Huntress -- tough and wry and continually struggling against herself to do good. As in any great anti-hero crime story, Rucka makes the right decision in the end by having Huntress do wrong; even despite the relevations she's come to about herself, Huntress can't escape her ingrained sense of justice, even as it might conflict with Batman and the Question. Vic Sage fans will appreciate Rucka's references here to O'Neil's Question series, and I even thought Rucka did well spotlighting all the Bat-family's differing relationships with Huntress -- Nightwing seeing her as a lost love, Robin as a substitute mentor, Oracle as a rival, and so on. Batman/Huntress: Cry for Blood lacks the full punch of Greg Rucka's Batman: Death and the Maidens or 52, but it's an interesting example of the writer's early DC Comics work -- a prelude to some of the stories he'd write later, both in story and in structure. New reviews next week. Also, don't miss our running list of uncollected comics available in digital format -- we hope it's a valuable resource! It's a real pity Rucka wasn't able to write more Vic Sage. Can you tell me more about that Batman Chronicles issue? It's a short story where Question keeps Huntress from killing a bad guy. As compared to Cry for Justice or Question: Five Books of Blood, the story isn't astounding, and the clouds and clouds of smoke around Question are a bit over the top, but indeed it is Question and Huntress's first meeting, by Rucka. Wouldn´t pay a dime for a character as lame as Huntress. Even though Rucka writes her. No Lucho-love for Huntress, it would seem. I had meant to link in the review to this post by Ragnell, who also had some strong (but well-formed) opinions about Huntress. Great review and I loved the post by Ragnell. DC should have killed Huntress at the end of NML instead of Sarah Essen. Oh, Lucho. Lucho, Lucho, Lucho. No, no. DC should NOT have killed Huntress, and thank God they didn't. 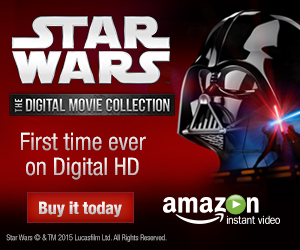 Three words: Birds of Prey. Helena is one of the most interesting parts of Birds of Prey (at least, when Gail Simone is writing the title, which is really the only time it's readable). Without her, that title would lose a significant element of internal conflict and (naturally) Simone's trademark snarkiness. As long as Simone is writing BoP, put Helena Bertinelli on the "do not kill" list.